NEW ORLEANS – All-Region honorees for the 2017 NCAA Division III Cross Country season were recognized Monday by the U.S. Track & Field and Cross Country Coaches Association (USTFCCCA) following the Regional Championships last weekend. There were six programs that had all seven of their runners earn All-Region honors. Men’s programs that stood out included Calvin, Christopher Newport, Haverford and North Central (Ill.), while the two women’s programs that peppered the list were Johns Hopkins and SUNY Geneseo. Ten different programs had six athletes earn All-Region distinction. Six of those were women’s programs (Carleton, Claremont-Mudd-Scripps, Emory, MIT, RPI and St. Thomas (Minn.)) to go along with four men’s teams (Emory, Loras, Pomona-Pitzer and UW-La Crosse). On a conference level, the UAA and NESCAC were the only leagues with 40 or more athletes honored. The UAA led the way with 46, while the NESCAC followed close behind with 44. 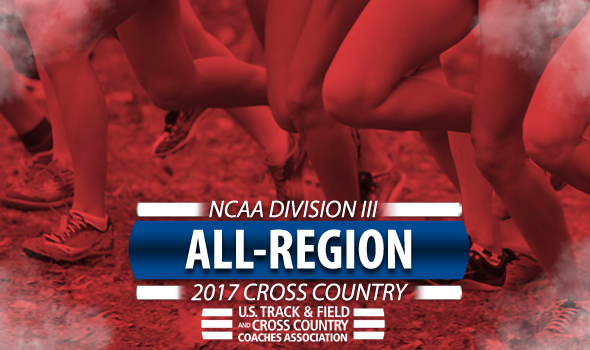 Many of the athletes who were named All-Region will compete this weekend at the 2017 NCAA Division III Cross Country Championships in Elsah, Illinois.